We love trying out blog ideas! I love to read blogs that inspire me to do activities with Darcie. Sometimes I have so many things buzzing around my head I fail to even think up the simplest of ideas! 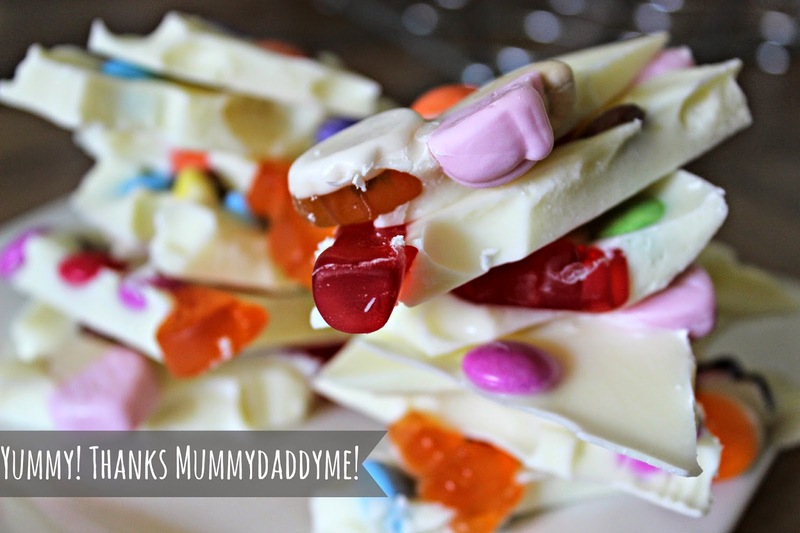 This weekend was no different, Mummy Daddy Me posted an awesome sweetie and chocolate treat that littleies would love and so simply couldn't resist giving it ago ourselves! 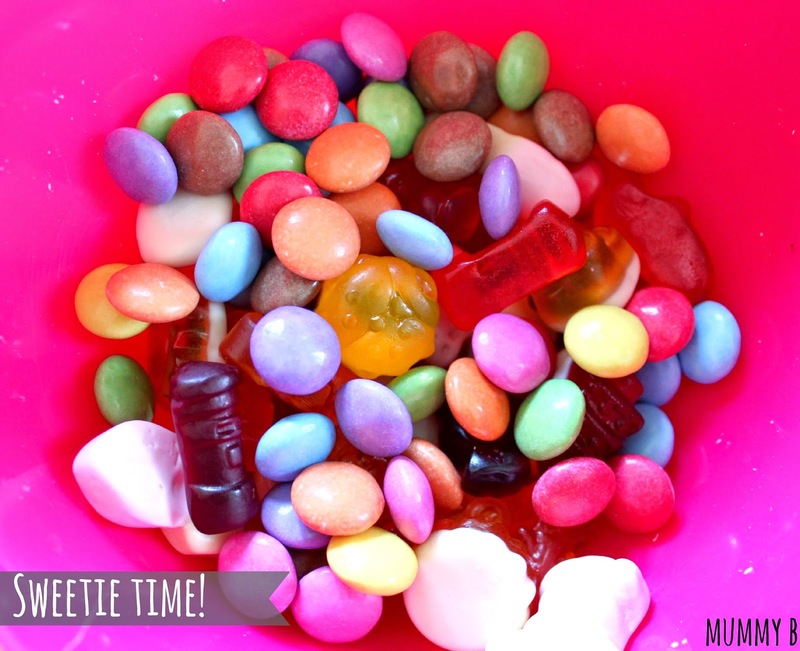 Darcie loved to squidge all the pieces into place and of course pinching a few sweeties here and there and licking her fingers! 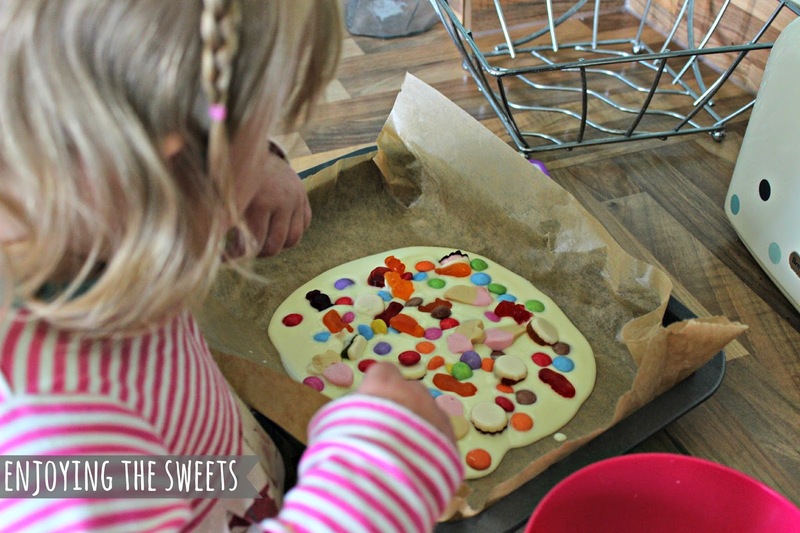 This was the perfect and quick activity to set up with relatively little mess which means a happy mummy as well as a happy tot! When my mum popped over, she told me how she had seen so many of these slabs of chocolate goodies sell for ridiculous prices when packaged as a gift. So I'm thinking of experimenting and creating different versions, maybe mixing milk and white chocolate to create pretty swirls and adding some of my favourite sweets or chocolates like mini Reese's cups! My mouth is watering at the thought!! You could personalise these slabs to a friend or family members likes to make THE perfect gift for chocoholics! Be sure to check out the original post HERE to learn more about this great activity!